Frank writes about how the Netherlands became the first connection outside the USA on the open net by the NSF (as opposed to the military initiated ARPANET academic institutions used then), thirty years ago yesterday on November 17th 1988. Two years previously .nl had been created as the first ever country top level domain. This was the result of the work and specifically the excellent personal connections to their US counterparts of people at the Amsterdam CWI, the center for mathematics. Because of those personal connections the Netherlands was connected very early on to the open internet and still is a major hub. Through that first connection Europe got connected as well, as the CWI was part of the European network of academic institutions EUnet. A large chunk of the European internet traffic still runs through the Netherlands as a consequence. I went to university in the summer of 1988 and had the opportunity to early on enjoy the fruits of the CWI’s work. From the start I became active in the student association Scintilla at my electronic engineering department at University of Twente. Electronic engineering students had an advantage when it came to access to electronics and personal computers and as a consequence we had very early connectivity. As first year student I was chairman of one of Scintilla’s many committees and in that role I voted in late ’88 / early ’89 to spend 2500 guilders (a huge sum in my mind then) for cables and plugs and 3 ethernet cards for the PC’s we had in use. I remember how on the 10th floor of the department building other members were very carefully connecting the PC’s to each other. It was the first LAN on campus not run by the University itself nor connected to the mainframe computing center. Soon after, that LAN was connected to the internet. In my mind I’ve been online regularly since late 1989, through Scintilla’s network connections. I remember there was an argument with the faculty because we had started using a subdomain directly of the university, not as a subdomain of the faculty’s own subdomain. We couldn’t, because they hadn’t even activated their subdomain yet. So we waited for them to get moving, under threat of losing funding if we didn’t comply. Most certainly I’ve been online on a daily basis since the moment I joined the Scintilla board in 1990 which by then had moved to the basement of the electronics department building. We at first shared one e-mail address, before running our own mail server. I used telnet a lot, and spent an entire summer, it must have been the summer of ’91 when I was a board member, chatting to two other students who had a summer job as sysadmin at the computer center of a Texas university. The prime perk of that job was they could sit in air conditioning all summer, and play around with the internet connection. Usenet of course. Later Gopher menus, then 25 years ago the web browser came along (which I first didn’t understand as a major change, after all I already had all the connectivity I wanted). So of those 30 years of open internet in the Netherlands, I’ve been online daily 28 years for certain, and probably a year longer with every-now-and-then connectivity. First from the basement at university, then phoning into the university from home, then (from late ’96) having a fixed IP address through a private ISP (which meant I could run my own server, which was reachable when I phoned into the ISP), until the luxury we have now of a fiber optic cable into our house, delivering a 500Mbit/s two-way connection (we had a 1Gb connection before the move last year, so we actually took a step ‘backwards’). Having had daily internet access for 28 years, basically all of my adult life, has shaped both my professional and personal life tremendously. Professionally, as none of my past jobs nor my current work would have been possible without internet. None of my work in the past decades would have even existed without internet. My very first paid job was setting up international data transmissions between an electronics provider, their factories, as well as the retail chains that sold their stuff. Personally it has been similar. 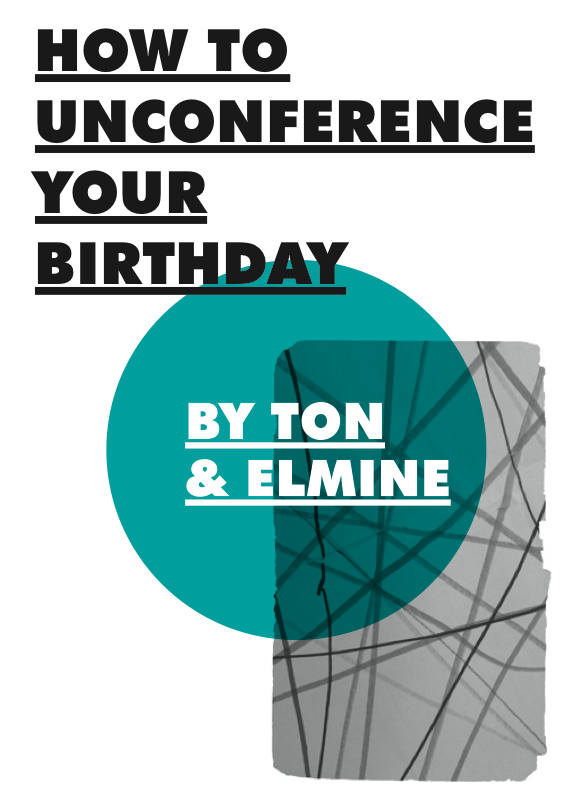 Most of my every day exchanges are with people from all over the world, and the inspiring mix of people I may call friends and that for instance come to our birthday unconferences I first met online. Nancy White‘s husband and neighbours call them/us her ‘imaginary friends’. Many of our friends are from that ‘imaginary’ source, and over the years we met at conferences, visited each others houses, and keep in regular touch. It never ceases to amaze. To me the internet was always a network first, and technology second. The key affordance of the internet to me is not exchanging data or connecting computer systems, but connecting people. That the internet in its design principles is a distributed network, and rather closely resembles how human networks are shaped, is something we haven’t leveraged to its full potential yet by far. Centralised services, like the current web silos, don’t embrace that fundamental aspect of internet other than at the hardware level, so I tend to see them as growths more than actualisation of the internets’s foremost affordance. We’ve yet to really embrace what human digital networks may achieve. Because of that perspective, seeing the digital network as a human network, I am mightily pleased that the reason I have been able to be digitally connected online for almost 30 years, is first and foremost because of a human connection. The connection between Piet Beertema at CWI in Amsterdam to Rick Adams at NSF in the USA, which resulted in the Netherlands coming online right when I started university. That human connection, between two people I’ve never met nor interacted with, essentially shaped the space in which my life is taking its course, which is a rather amazing thought. The fact that I now have a place where I can do that, where I can publish my thoughts whenever I want in a place open for people to read and to not be afraid of doing so, is liberating. I’ve always wanted a space online to call my own. I’m so tired of all the endless perfection I see on social media. My space, “Life Chapter by Chapter” is real. It’s me, personified by a website. And though this post is not digitally enhanced in any way, I love it because it’s representative of the bottom line of what I’ve learned in EDU 106. I’m my own person on this site, I’m not defined by Instagram, Facebook, or Twitter. I can post what I want, when I want, how I want. It’s a beautiful thing. That’s a beautiful thing, indeed. Maybe this is the bit that Frank Meeuwsen and I need to take as the key to the story when writing a book, as Elja challenged us today (in Dutch). Help jij ons mee organiseren? We gaan een IndieWebCamp organiseren in Utrecht, een event om het gebruik van het Open Web te bevorderen, en met elkaar praktische zaken aan je eigen site te verbeteren. We zoeken nog een geschikte datum en locatie in Utrecht. Je hulp is dus van harte welkom. Op het Open Web bepaal jij zelf wat je publiceert, hoe het er uit ziet, en met wie je in gesprek gaat. Op het Open Web bepaal je zelf wie en wat je volgt en leest. Het Open Web was er altijd al, maar in de loop van de tijd zijn we allemaal min of meer opgesloten geraakt in de silo’s van Facebook, Twitter, en al die anderen. Hun algoritmes en timelines bepalen nu wat jij leest. Dat kan ook anders. Bouw je eigen site, waar anderen niet tussendoor komen fietsen omdat ze advertentie-inkomsten willen genereren. Houd je eigen nieuwsbronnen bij, zonder dat andermans algoritme je opsluit in een bubbel. Dat is het IndieWeb: jouw content, jouw relaties, jij zit aan het stuur. Frank Meeuwsen en ik zijn al heel lang onderdeel van internet en dat Open Web, maar brengen/brachten ook veel tijd in websilo’s als Facebook door. Inmiddels zijn we beiden actieve ‘terugkeerders’ op het Open Web. Afgelopen november waren we samen op het IndieWebCamp Nürnberg, waar een twintigtal mensen met elkaar discussieerde en ook zelf actief aan de slag gingen met hun eigen websites. Sommigen programmeerden geavanceerde dingen, maar de meesten zoals ikzelf bijvoorbeeld, deden juist kleine dingen (zoals het verwijderen van een link naar de auteur van postings op deze site). Kleine dingen zijn vaak al lastig genoeg. Toen we terugreden met de trein naar Nederland waren we het er al snel over eens: er moet ook een IndieWebCamp in Nederland komen. In Utrecht dus, dit voorjaar. Voel je je aangesproken door de ideeën van het open web, indieweb, wil je aan de slag met een eigen site die meer vrij staat van de invloeden sociale silo’s en datatracking? Wil je een nieuwsvoorziening die niet meer primair wordt gevoed door algoritmen en polariserende roeptoeters? 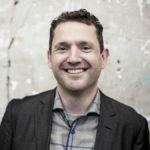 Dan verwelkomen we je op twee dagen IndieWebCamp Utrecht. Laat weten of je er bij wilt zijn. Laat weten of je kunt helpen met het vinden van een locatie. Laat weten hoe wij jou kunnen helpen bij je stappen op het Open Web.